The Black community faces a two-dimensional job crisis: the crisis of unemployment and the crisis of low-wage work. For the past half century, the monthly Black unemployment rate has averaged twice that of whites. In fact, the lowest monthly unemployment rate for Blacks usually exceeds the highest monthly unemployment rates for whites. Since January 1972, the lowest monthly Black unemployment rate has been 7.0%. Over that same time period, stretching 535 months, the white unemployment rate has exceeded 7.0% only 90 months. However, unemployment is not the only crisis facing Black workers. After the Great Recession, approximate 39% of all Black workers received low-wages — less than two-thirds of national median wage for a full-time worker. For these workers, their typical annual income was $16,288. To focus only on the devastating unemployment problems in the Black community is to ignore the plight of many Black workers who have jobs. Both of these issues must be addressed. 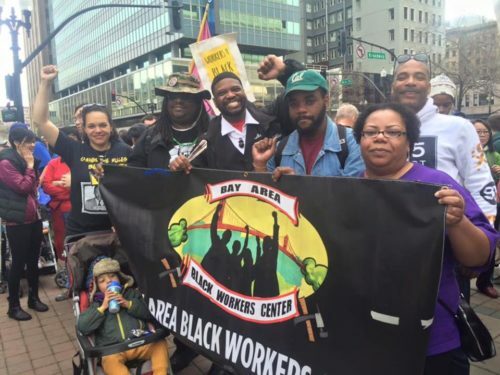 The importance of Black worker centers building power through organizing in order to provide a collective voice for Black workers in the workplace and to change public policy. The importance of basing the Black worker centers among progressive elements of the Black community and Black union members. The importance of rooting the Black worker centers in the Black community’s essential networks. The importance of ensuring the activity of the Black worker centers respects the ways that gender impacts issues surrounding work in the Black community. The importance of Black worker centers building power through organizing in order to provide a collective voice for Black workers in the workplace and to change public policy. While self-help strategies or initiatives designed to erect alternative economic institutions have value, the racialized economic outcomes for the Black community are the result of conscious State policies and the power of employers. Consequently, an improvement in these outcomes will not occur until these policies are changed and workers have the capacity to impact decisions in the workplace. The Project will focus on building power through organizing Black workers and other segments of the Black community and using this power to change State policies and curb employer abuses. The importance of basing the Black worker centers among progressive elements of the Black community and Black union members. The relationship between the labor movement and the Black community is very complicated. However, economic justice in the workplace and hence benefits to Black workers cannot take place without strong unions. One of the strengths of the Los Angeles Black Worker Center has been its conscious efforts to unite the elements of the Black community who hold a progressive vision about jobs and Black unionists who seek the need to expand beyond a narrow vision of unionism and embrace the community in new ways. These efforts will ground the work of all Black worker centers. The importance of rooting the Black worker centers in the Black community’s essential networks. The strength of the civil rights movement lay in the engagement of key organizations and institutions that lent legitimacy to the movement because of their bases in the Black community. As the National Black Worker Center Project develops its work, a key element will be the identification of 21st Century networks and institutions that have the respect of the Black community. The importance of ensuring the activity of the Black worker centers respects the ways that gender impacts issues surrounding work in the Black community. Black men and Black women find themselves concentrated in different industries. In addition, gender roles and institutions such as the criminal justice system affect Black men and women differently. Consequently, the racial and economic exploitation facing Black workers is different for Black men and Black women. The Project will take these realities into account as it undertakes campaigns, builds relationships in the Black community, and shapes a vision of economic justice for Black workers.